HOFERNET IT-Solutions is a company focusing on IT systems and automation solutions. When a customer requested an automation solution for two rather similar fish farm systems, the idea emerged to generate the automation software automatically instead of developing each system individually. HOFERNET IT-Solutions commissioned the Technical University of Graz to analyze the specific problem and to suggest appropriate solutions. The Technical University of Graz conducted a study for the specific fish farm automation systems, and suggested that HOFERNET IT-Solutions construct a domain-specific language (DSL) using MetaEdit+. MetaEdit+ outperformed other tools in a comparative analysis in terms of usability and suitability for the automation domain. HOFERNET IT-Solutions developed the fish farm automation DSL, and have so far developed two fish farm automation systems using the DSL. The following figure shows the MetaEdit+ model of one of the systems. In the model we can see the ponds and automation hardware input/output devices. From this model several outputs are automatically generated. The most important one is the full fish farm automation software, including automation hardware configuration files and the visualization. Additionally, system configuration files (router configuration, web portal configuration) and a system documentation (wiring plan, list of parts, etc.) are generated. The MetaEdit+ DSL-based approach offers the advantage that new fish farm automation systems can be developed quickly and maintenance work for multiple systems is decreased. A benefit analysis of the DSL approach compared to HOFERNET IT-Solutions's previous development approach (clone&own: software blocks are copied from older projects if similar functionality is required for a new project) showed that after developing more than three fish farm automation systems, the additional effort to construct the DSL pays off. 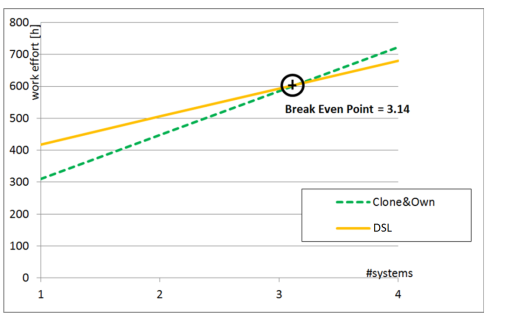 This analysis just handles the system development costs and not the maintenance benefits of the DSL approach, which means that for maintenance-intensive systems the DSL approach pays off even earlier. MetaEdit is an easy-to-use tool, which allowed HOFERNET IT-Solutions to quickly develop a fish farm DSL. Even for this relatively small project (just two fish farm systems), the DSL approach pays off if we consider the maintenance work saved by just maintaining the models rather than two separate fish farm automation software versions. Automatically generating consistent system documentation provided huge benefits during the hardware installation of the fish farm systems, because the electrician who installed the hardware was always provided with a fully generated and consistent wiring plan. 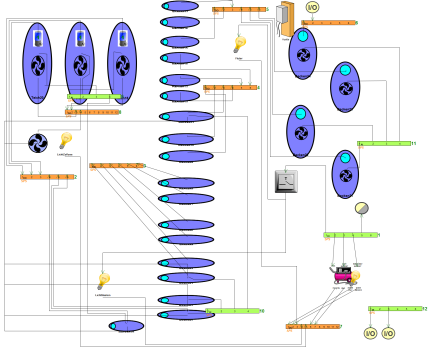 Altogether, MetaEdit+ was very well suited for the fish farm automation project. The possibility to graphically model the automation systems was very useful, because this allowed the fish farm models to be constructed interactively during meetings with the customer. Get more information about building your own modeling tools.